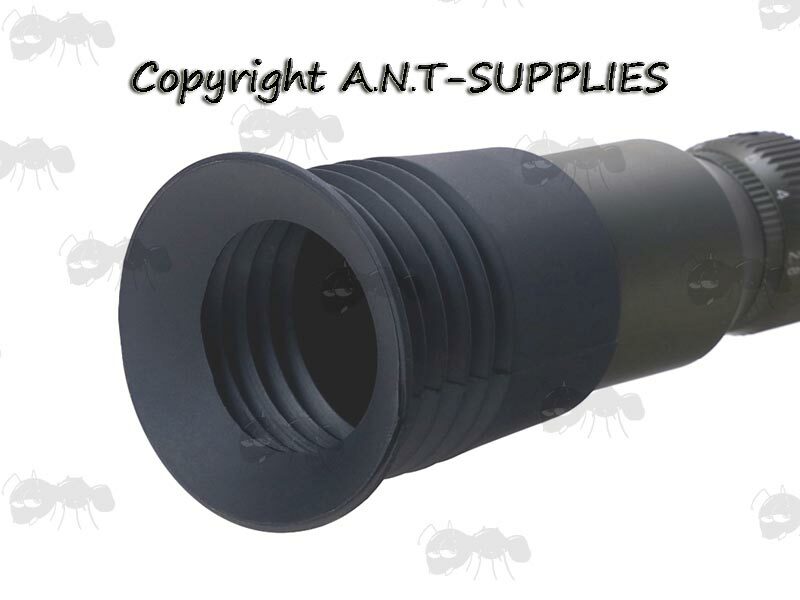 A scope eyepiece extension will improve the performance of whatever quality scope you use. 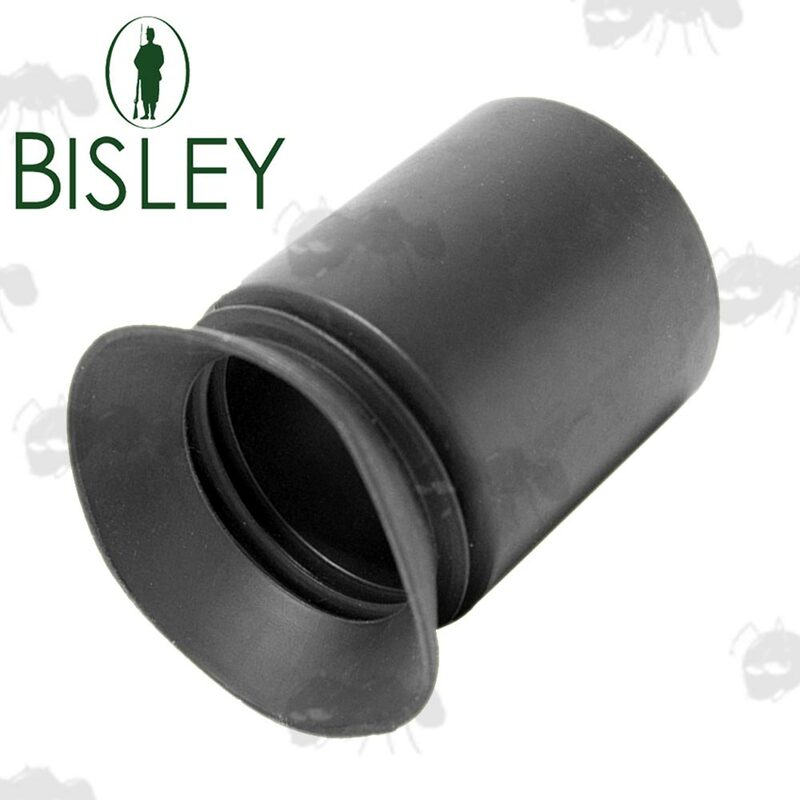 Also available ~ Pigs ear scope eyepieces. 2 3/8 inches / 60mm long overall. 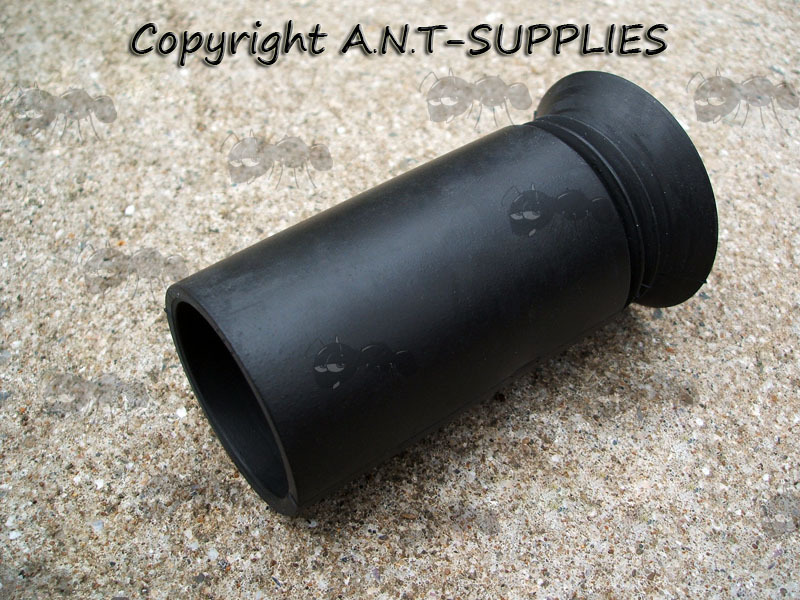 1 5/8 inch / 40mm inner diameter. 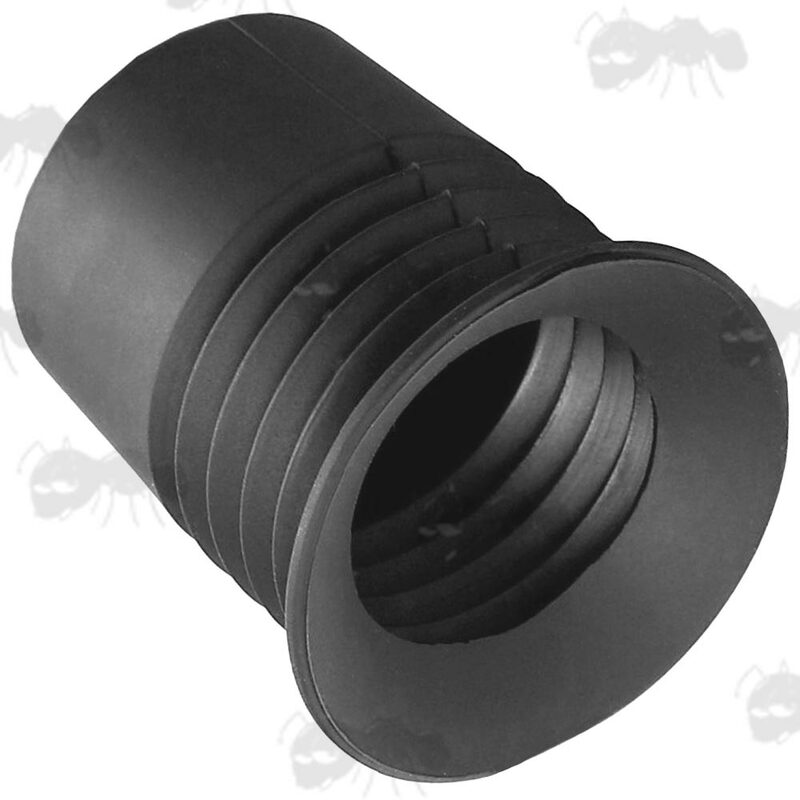 1 1/2-3/4 inch / 38-40mm inner diameter. 2 5/8 inches / 66mm long overall. 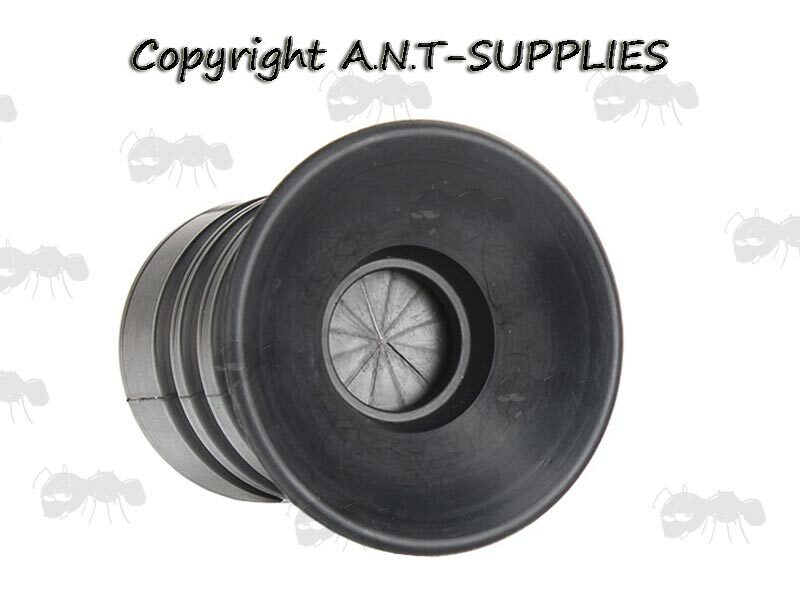 1 5/8 inch / 40-42mm inner diameter. 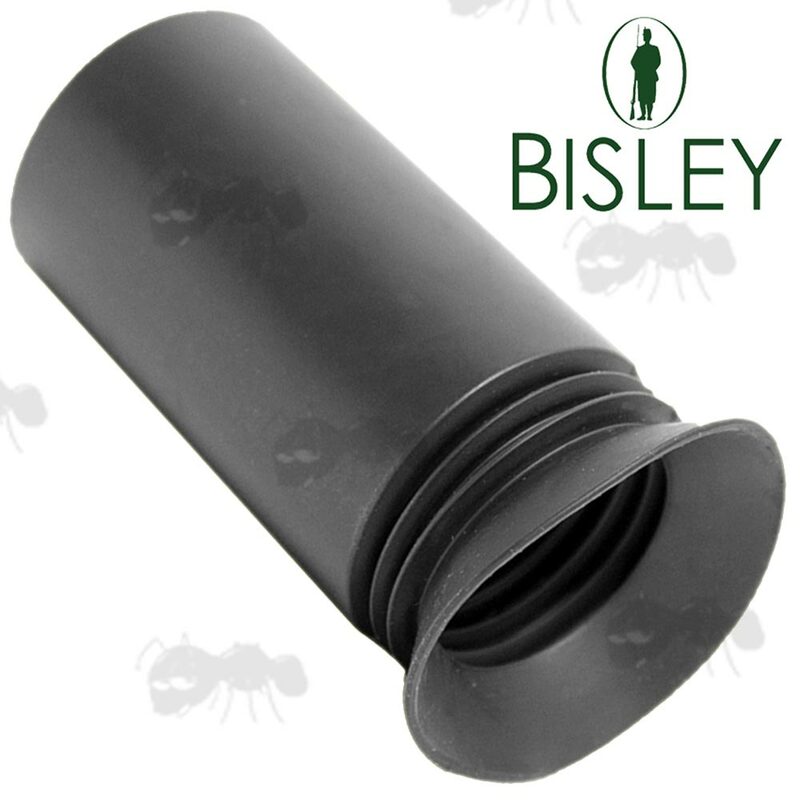 Next > Bisley Scope Eyepiece Extenders. Black, eyepiece extension with concertina style section. Fits larger eyepiece scopes / sights and suits right or left handed shooters. KAPPA model below: showing the internal gate that opens when pressure is applied. 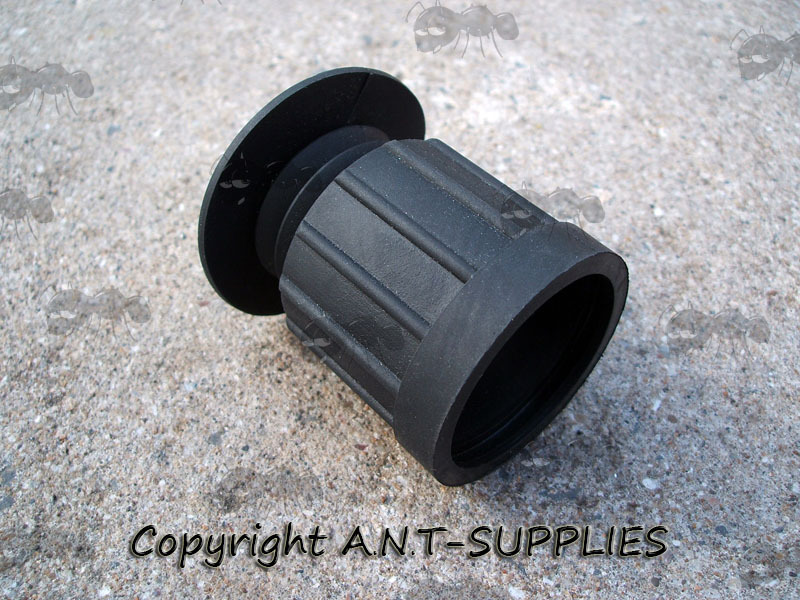 60mm long, including the foldable eye cup. 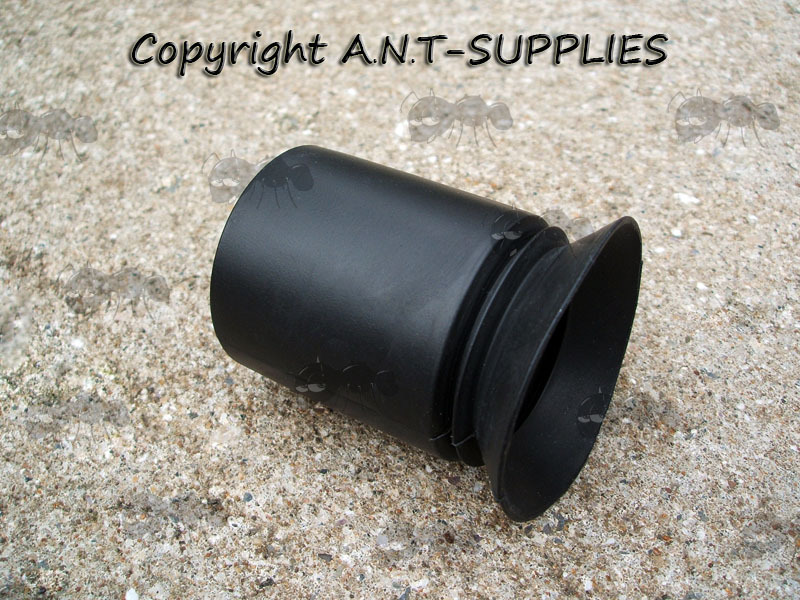 90mm long, including the foldable eye cup. 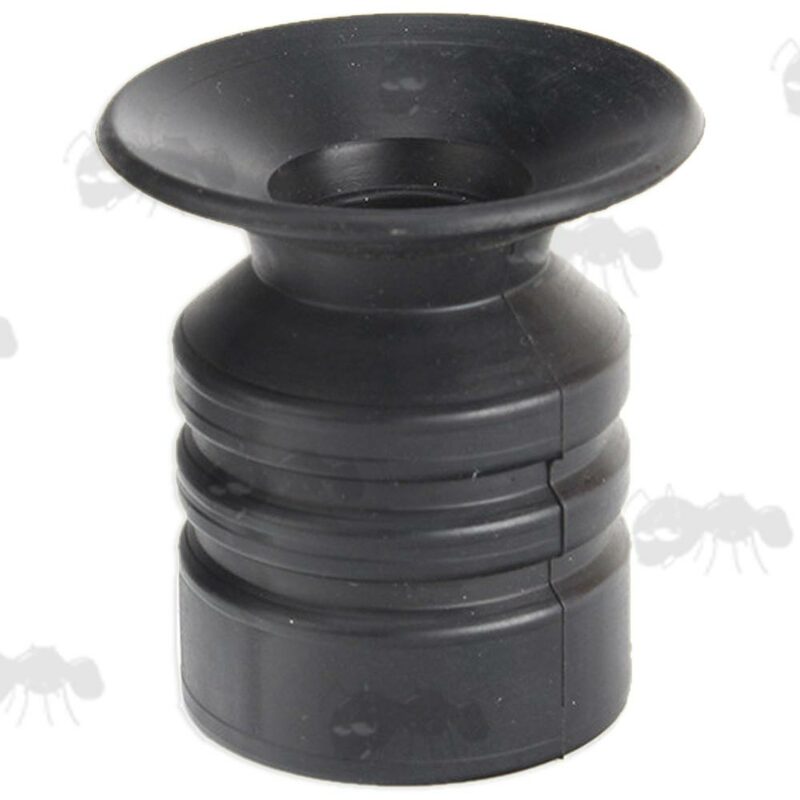 Black, rubber eyepiece scope extension. 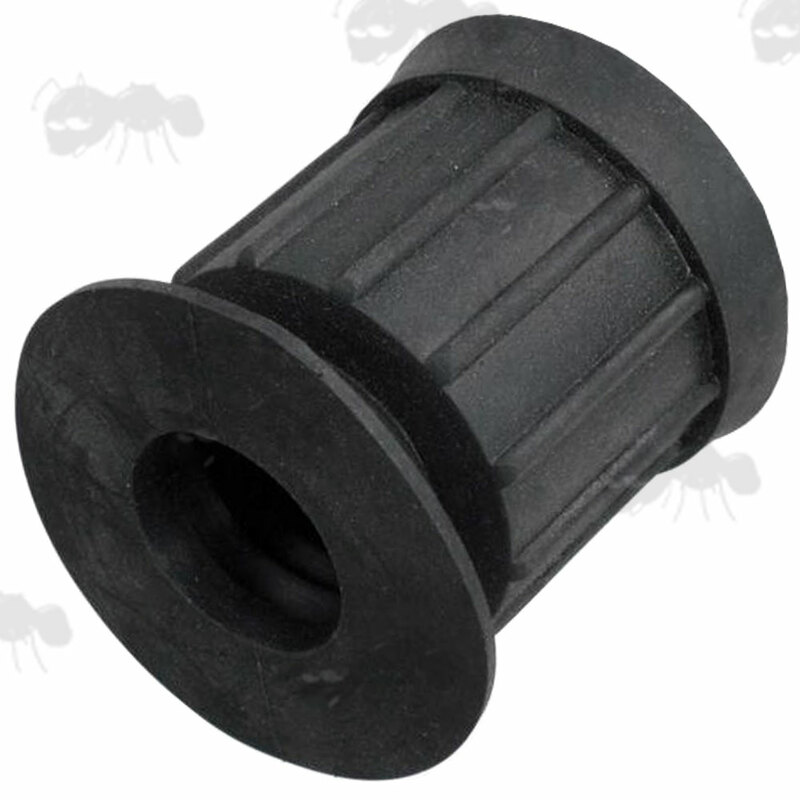 1.5 inch / 38mm inner diameter.